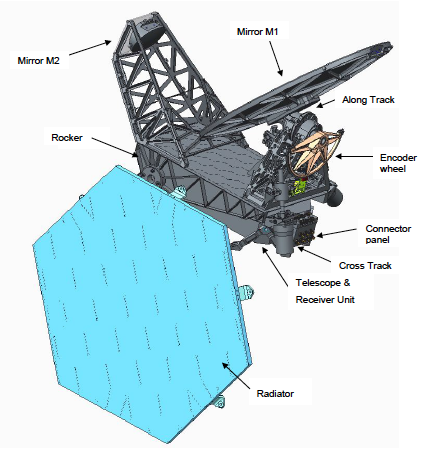 The Submillimetre Wave Instrument (SWI) is a 29-cm submillimeter telescope that will enable us to observe in 2 spectral bands (600 and 1200 GHz) with a resolving power of 107 thanks to the heterodyne spectroscopy technique. The Principal Investigator of this instrument is P. Hartogh (MPS, Germany). 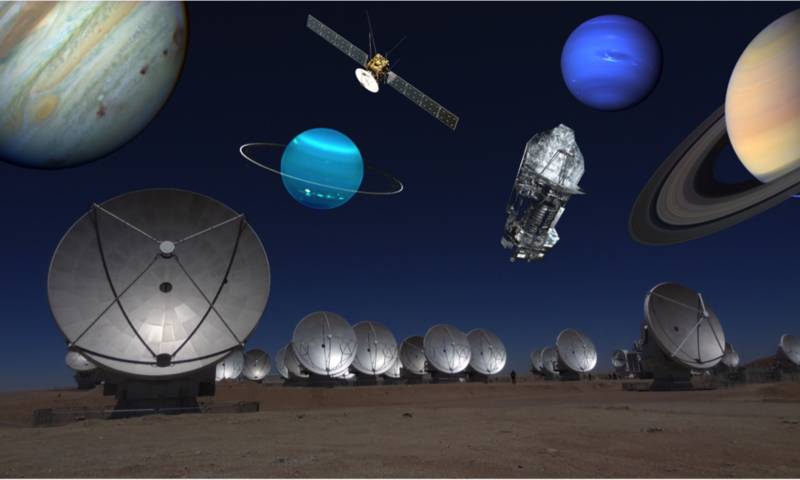 SWI will observe at high spatial, spectral and temporal resolution. The main goals are the measurement of the 3D atmospheric composition and circulation of Jupiter, and the study of the atmospheres and surfaces of the Galilean Moons. The observations of the jovian stratosphere will enable us to monitor the species deposited by comet SL9 in 1994. We will measure the isotopic ratios in several molecules (H2O, CO, HCN), and to map stratospheric winds for the duration of the mission. France is contributing in the development of hardware for SWI, with funding from CNES. LERMA produces the synthesizers and the 1200 GHz receiver. LESIA and LAB contribute to the development of software tools, to ground and inflight calibration, and to science implementation. I am co-I of SWI. I supervise the development of the observation planning software and the writing of the instrument command scripts. I also take part in the instrument calibration activities. Simulation of the retrieval of atmospheric methane abundance (top right), temperature (top center right) and winds (top center left) from the observation of methane spectral lines (top left).